A cruise missile emerging from a Vertical Launch System box. On September 17, 2009 President Obama and his Defense Secretary, Robert Gates, announced a new approach to US missile defense in Europe, the Aegis-based European Phased Adaptive Approach (EPAA). This approach was to replace the Bush administration’s plan for a Ground-Based Missile Defense (GMD) site in Poland with what Obama described as a “smarter and swifter” defense system. The Polish installation (along with a similar site in Romania) would replace the proposed installation of GMD interceptors with a larger number of much smaller and slower interceptors, guided by Aegis radars normally used on US Navy warships. This political decision to finesse one bad missile defense idea with another has helped create a crisis with Russia over the future of the Intermediate-range Nuclear Forces (INF) Treaty. The Trump administration announced its suspension of the treaty last week, alleging (as did the Obama administration) that the Russians have violated it by developing a cruise missile that appears to breach the clear limitations on weapons ranges established by the INF. The Russian government responded by also suspending its adherence to the treaty; it has long claimed that United States missile defense installations in Eastern Europe violate the treaty. If no agreement on the INF is reached, both countries could formally withdraw from the pact in six months. The Obama administration’s internal deliberations on the decision to place Aegis-based missile defenses in Poland and Romania have not been reported in the press. Neither has the precise advice Defense Department advisers gave the president and his policy staff on the capabilities of the Aegis system. I therefore cannot say with certainty whether the Obama administration knew that, with the Aegis-ashore program, it was installing a weapons system in Eastern Europe with offensive capabilities that violated US treaty obligations. Unsuited for long-range missile defense, but with offensive capabilities. Technical assessment of the Aegis system indicates that it would have little or no real capability of intercepting the Iranian missiles it purportedly was meant to counter. 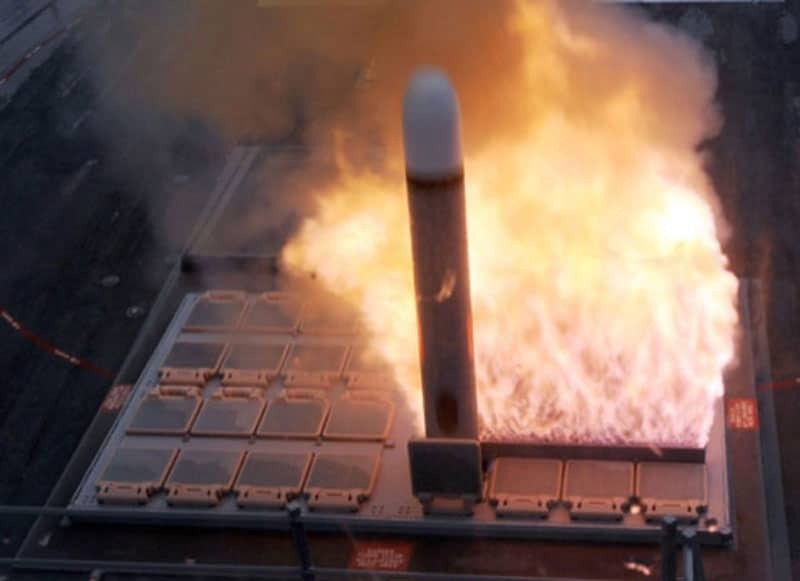 The severe anti-missile limitations of Aegis ashore can be traced to two problems that were certainly understood by at least some Defense Department analysts before the Obama administration’s decision to deploy the system in Eastern Europe. The first problem is the extremely limited range of the Aegis radar. The Aegis radar is powerful when used to track aircraft, which the radar can engage at a range of tens of kilometers. Aircraft can be relatively easily tracked by radar because their radar reflectivity (known as radar cross-sections) are hundreds or thousands of times larger than the radar-reflectivity of long-range missile warheads. There is an additional important difference between air and missile defense radars: The low-reflectivity warheads of long-range ballistic missiles must be detected at ranges of hundreds rather than tens of kilometers. Because the Aegis systems have such little utility in interdicting Iranian-launched long-range missiles, it would be reasonable for foreign military planners and political leaders to wonder why the US made a decision to base them in Eastern Europe. 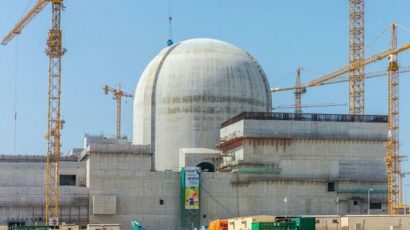 Could this decision indicate a US strategic intention to expand and modify the system over time (which is happening now)? The Trump administration’s stated reason for threatening to withdraw from the INF is the Russian development of the SSC-8 cruise missile, which appears to violate the clear limitations on weapons ranges established by the INF. I leave it to others to argue whether the Russians have indeed violated the INF; it is quite possible they have. But the SSC-8 appears to have characteristics very similar to those of the US Tomahawk sea-launched cruise missile. The Tomahawk can readily be stored at and launched from the Aegis site in Romania and, once it is completed, the Polish installation. The Russians have repeatedly insisted that these dual-capability, Aegis-ashore installations constitute a violation of the offensive weapons range limitations set forth in the INF Treaty. But the mechanical and electronic components installed in the Romanian and Polish Aegis ashore sites are unmodified from those installed on US Navy warships, which were designed from the beginning to simultaneously be able to launch cruise missiles as well as anti-air missiles. To argue that the Aegis ashore system is not programmed to launch cruise missiles is no different than arguing that a workstation computer cannot read flash drives or information from video cameras. It is simply a false assertion that is incompatible with the engineering design of the system. 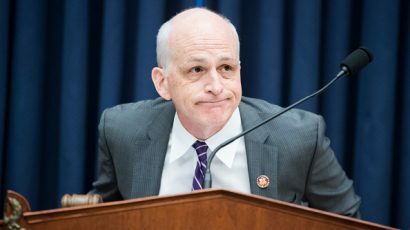 The issues associated with preserving the INF Treaty are complex, and both the US and Russian sides have legitimate concerns that need to be resolved if the treaty—an important element of the world arms control regime—is to be resurrected in some form in the six months between the treaty suspensions announced last week and final withdrawal from the treaty. As they recount allegations about Russian violation of the INF, many major mainstream media outlets have routinely misreported basic facts on the land-based Aegis systems in Eastern Europe and related issues. The actual facts of the matter support the Russian position. This reality must be taken into account, if the United States and Russia (and possibly other countries) are to come to agreement on continued control of intermediate-range missiles. Figure 1. 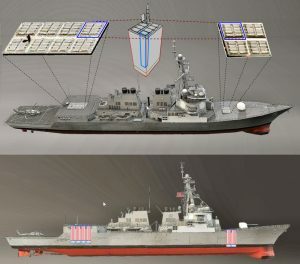 The above two images of the hull and superstructure of the U.S. Navy’s Arleigh Burke class destroyer shows the arrangement of missiles in what is called “Vertical Launch Systems” (VLS). The VLS box on the front deck of the destroyer contains 32 launch canisters, each of which can contain one of several different kinds of missiles. The VLS box on the rear deck of the destroyer contains 64 missile launch canisters. Older VLS systems have a crane folded and integrated into the VLS box that is used for loading and unloading canisters, but more recently the US Navy has opted to remove these integrated cranes so three additional slots are available for missiles. A fully armed Aegis destroyer can carry 96 missiles in these vertical launch tubes. Larger Aegis-armed cruisers can have two 64 missile launch boxes at the front and rear of the ship, carrying up to 128 missiles. Aegis, on sea and land. To understand the Aegis systems in Eastern Europe, it is useful to examine the ship-based systems on which the European installations are based. The vast majority of missiles carried by an Aegis-armed ship are stored in canisters that are held in large boxes called Vertical Launch Systems (VLS). 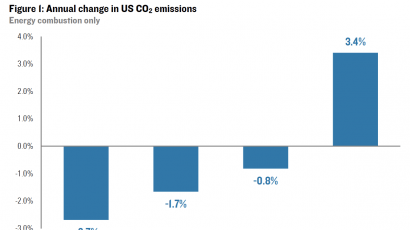 (See figure 1.) The basic VLS missile launching “module” is designed to hold eight missile-containing canisters. A cartoon of one of these modules is shown on the left panel in Figure 2; a diagram of two canisters, one containing an SM-3 antimissile interceptor and the other containing a long-range cruise missile is shown in the panel on the right of that figure. Viewed from the outside, both canisters are identical. The missile-carrying canisters sit vertically in VLS boxes, which, depending on the design of the ship and size of the box, could hold 8, 16, 24, 32 or 64 missile canisters. 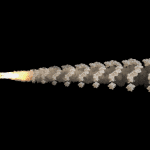 A missile is launched by igniting its rocket motor so it can fly out of its canister. Figure 2. The panel on the left shows the basic module used in the U.S. Navy’s Vertical Launch System (VLS). These modules are designed to contain eight missile-carrying canisters. The basic module is designed so any missile can be launched directly from its canister by simply igniting its rocket motor. The missile then flies vertically out of its canister and changes its direction in accordance with its mission. The panel on the right shows two canisters, one containing an SM-3 anti-missile interceptor and the other containing a Tomahawk cruise missile. Both of these containers can be carried in the same launch module and both can fly directly from there canisters on command. Figure 3 shows three photographs of missiles being loaded into or flying out of VLS boxes of different sizes. 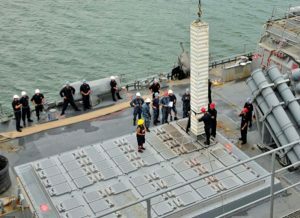 The top photograph shows a canister that would contain either a cruise missile or an SM-3 antimissile interceptor being loaded into a 64-canister VLS box. Notice that the VLS box is comprised of eight basic modules, each of which contain 8 missile-carrying canisters. The second photograph in Figure 3 shows a cruise missile flying out of one of the eight modules that make up a 64 canister VLS box. 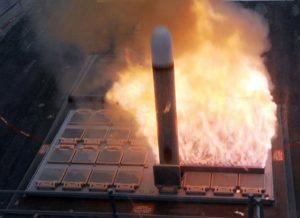 The wall of flames behind the cruise missile is from the gas handling system of the module from which it is launched. The bottom photograph shows the launch of an anti-aircraft missile from a VLS box that consists of only a single, eight-canister VLS basic module. In the case of this anti-air missile, which is shorter than either a cruise missile or anti-missile interceptor, the canister has an extension that allows the shorter missile to sit near the top of its canister. A VLS launch system can carry and launch anti-ship and Tomahawk land-attack missiles, as well as anti-aircraft and anti-missile interceptors. Figure 3. 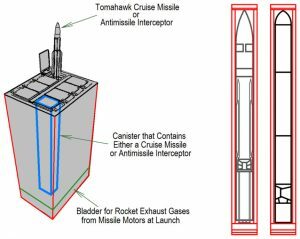 The three above photographs show how cruise missiles or antimissile interceptors can be loaded into and launched from a Vertical Launch System (VLS) box. The top photograph shows a missile-containing canister being loaded into a 64-missile VLS box. In this case, the VLS box has 8 basic modules that each contains eight canisters with missiles. The canister in the photo is designed to carry either a Tomahawk cruise missile or an SM-3 antimissile interceptor, which cannot be determined by visual inspection alone. The second photo shows a cruise missile being launched from a 32-missile VLS box. The wall of flames behind the missile are the exhaust gases from the rocket motor which are designed be vented to the atmosphere by the 8-missile basic module from which it is launched. The photo at bottom shows the launch of an antiaircraft missile from an 8-missile VLS box. 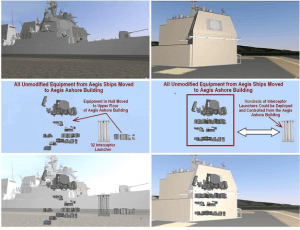 Figure 4 shows how the unmodified components of a ship-based Aegis-combat system are rearranged and placed into an Aegis ashore system so all of the components used by the Aegis ashore installation are the same as those used on a ship. The column of three images on the left of Figure 4 show the components as they are arranged in a ship and the column of three images on the right of Figure 4 show how the same components are slightly rearranged to be housed in the Aegis ashore installation. In the case of the Aegis ashore installation, the VLS boxes are located a short distance from the Aegis ashore radar command center. At the installation in Romania, 24 missiles are in three separate modules deployed around the radar command center. 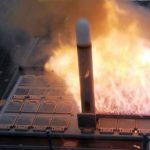 The equipment associated with the Aegis-ashore system has been demonstrated and tested on ships with up to 128 missile canisters, and there is no technical reason that a larger number of canisters could not also be controlled by exactly the same components used in the current Aegis system. This means that the current Aegis ashore system could, on short notice, be expanded to control more than 100 missiles and possibly several hundred missiles—limited only by the current computers and software that are already in use on US warships. 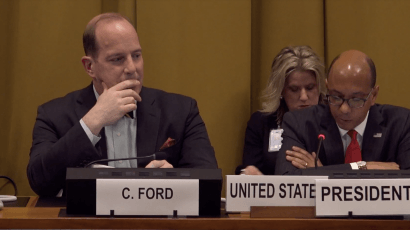 It seems obvious that the United States would, and should, strenuously object if Russia were to deploy a similar kind of system within the area covered by the INF Treaty. It is therefore hard to see why Russia would not be concerned about such a US system and its substantial offensive breakout capabilities. Clearly, the State Department’s December 2017 statement—that the Aegis-ashore system lacks the software, fire control hardware, support equipment, and other infrastructure needed to launch offensive ballistic or cruise missiles such as the Tomahawk—is simply not true. The Aegis ashore system is designed to be extremely flexible and to handle multiple types of missiles; that flexibility can be understood by thinking of its control system as analagous to a laptop computer. In the Aegis system, all missiles are contained in “smart” canisters that have the same height, width, and length. Every canister contains the same electronic equipment to monitor the missiles and provide information to the central system through a uniform electrical interface that is the same for all canisters, no matter what missile is inside. A good analogy for these canisters is a USB flash drive, a small rectangular device that plugs into a port in standard laptop computers. When a USB flash drive is plugged into a laptop, the computer exchanges signals with the electronics in the flash drive, the computer learning the amount of memory in the flash drive and how to access the information on the drive. If a physically different type of memory device—a mechanical drive, say—is instead plugged into the computer’s USB port, the computer will also determine the amount of information on this device and how to read the information stored on it. In the case of the Aegis system, each smart canister can be thought of as a USB flash drive. All that is needed to plug a new type of missile into the system is for the system’s computer components to recognize the contents of the smart canister. In the case of the Aegis system, the contents of the canister are provided through the canister’s universal internal electronics and associated interfaces. To explain how the Aegis system accommodates different types of missiles, let’s start by looking at a canister that would contain an SM-3 antimissile interceptor. This “smart” canister is exactly the same length (264 inches or 22 feet) as the canister that would contain a cruise missile. To fit in the eight-missile launching module, the SM-3 antimissile interceptor canister has exactly the same mechanical and electrical interfaces as required for the cruise missile canister. Each canister must be by equipped with common internal electronics and a common electronic interface that is connected to the central system with a 145-pin umbilical connector. The canister is “smart” by design. It contains a missile and equipment to monitor its internal environment and to provide the external system with information about the type of missile in the canister, about the canister’s location in the launch-module, and about the missile’s flight out of the canister. This distributed intelligence in every smart canister commanded by the central computers is how the Aegis system can carry so many different kinds of missiles simultaneously. 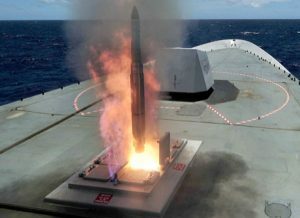 Currently deployed Aegis modules have the ability to hold and launch two different kinds of surface-to-air missiles, two different kinds of anti-missile interceptors, two variants of the Tomahawk cruise missile, and a short range interceptor known as the Sea Sparrow for use against anti-ship missiles. The eight-canister module is controlled by a remote computer called the launch control unit, which sits in the launch control center. This computer can receive instructions from disks and other standardized computer communication and storage equipment, including from consoles manned by soldiers. Clearly, the US Aegis systems in Eastern Europe could accommodate conventionally armed Tomahawk missiles that could be fired from close quarters at Russia. The United States retired its nuclear-armed Tomahawk cruise missiles between 2010 and 2013. But weapon-acquisition programs that could quickly reproduce a nuclear-armed Tomahawk superior in capability to the original nuclear Tomahawk are in place. 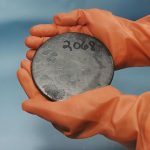 An appropriate nuclear warhead could be produced from the Energy Department’s existing “Life Extension Program” for nuclear warheads. The other components needed to upgrade the nuclear-armed Tomahawk exist in a program that aims to constantly improve the capabilities of the widely deployed conventional Tomahawk. These programs have already produced technical innovations that would allow an upgraded Tomahawk to be aimed at new targets within an hour or less, to have an increased range due to a more efficient turbofan engine, to be able to control the exact time a target is hit by loitering prior to an attack, and to attack targets from horizontal and vertical directions. An upgraded Tomahawk with a nuclear warhead, if based at US Aegis sites in Eastern Europe, could be used to implement a near-zero warning nuclear strike on multiple Russian targets. This capability is what the Russian government fears. And rightly so, because the capability is far from theoretical. It is a capability the Aegis system was designed to accommodate. 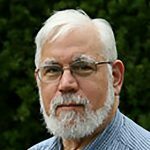 The need for truth in missile defense. 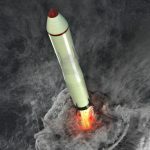 In placing Aegis-ashore installations in Eastern Europe, the Obama administration—possibly failed by its technical and policy advisors—made an epic blunder, surpassed in negative consequences for global nuclear stability, in my opinion, only by the Bush administration’s decision to withdraw from the Anti-Ballistic Missile Treaty in 2002. 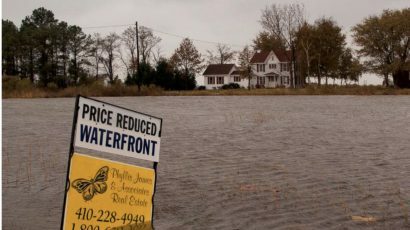 Both of these political decisions were made with bipartisan indifference to technical merit or long-term consequences. The Russians have rightly raised questions about the possibility that the Aegis-ashore system could constitute a preparatory violation of the INF Treaty. Russian concerns are further supported by the fact that the Aegis radar is not up to the job of identifying attacking long-range ballistic missiles at sufficient ranges to allow enough time for missile defense interceptors to reach their targets. It therefore appears—from a purely technical point of view—that the Aegis ashore system has little or no true missile defense capabilities and may therefore be located in Europe for other purposes. 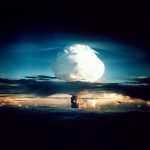 The political situation between the United States and Russia is dangerous—perhaps more dangerous than it has ever been—and there are certainly reasons for the West to be concerned about Russian behavior, including its possible violation of the INF Treaty. But the United States has a long, bipartisan history of making senseless political decisions to deploy ineffective missile defenses, and then justifying those decisions with disinformation, even when technical and military analysts can readily unmask it. The routine US reliance on misleading claims about missile defense systems—claims too often parroted by the Western press—contributes to an environment in which foreign powers, both friend and foe, rightly do not trust the word of US political and military leaders. 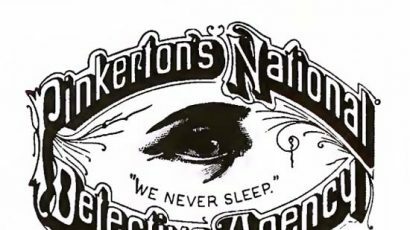 This avoidance of factual reality has contributed to the impending demise of the INF. Saving the INF or replacing it with another agreement that limits the extremely destabilizing spread of intermediate-range missiles will require that both the United States and Russia come clean about their efforts to develop and base such missiles. Refusing to acknowledge reality is a poor strategy for enhancing US or Russian security and pursuing the sort of arms control that makes nuclear war less likely. 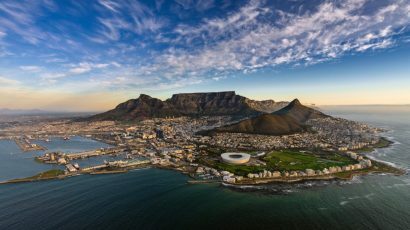 Crystal clear and impressively powerful article. All becomes much more clear about a long elaborated strategy since 2002 to now. What’s next? 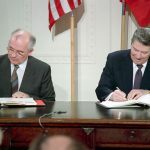 Keeping or restart a INF Treaty? Not at all. Instead, killing the last remaining treaty, that is the New START, and then, through a nuclear war, the very human life on Earth. The Aegis system in Eastern Europe is designed primarily to intercept Iranian missiles launched at European targets. It has a good capability in this scenario. Consisting of only two stationary installations Aegis- ashore would be a poor choice for an offensive capability. I’m sure the Russians have it targeted with multiple ballistic and cruise missiles which could take it out in minutes. Intermediate range missiles are only viable if they are mobile like all the Russian weapons. Not if the US was to ever launch a surprise sneak attack with nuke-armed LACMs. 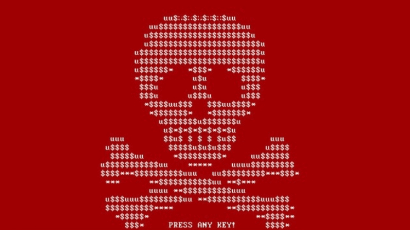 Russia could neutralize those installations very quickly. As for a sneak attack, slow moving cruise missiles are not really a credible first strike threat. Just look at all the Russian assets in the Black Sea and elsewhere that would detect such a launch instantly. It doesn’t matter in the slightest whether, or how quickly, Russia could destroy the Aegis Ashore installations. Russia would not know of a threat until launches were detected. After that, destroying the launchers would be too late – the cruise missiles would already be on the way. There is only one problem with the article. The AEGIS Weapons System and the Tomahawk Weapon System are two completely separate weapons systems. On a US Navy vessel you can’t launch anti-air missiles from the Tomahawk consoles or Tomahawks from the AEGIS consoles not only because of programming, but because they are two separate, non-interconnected systems. This doesn’t prevent the Tomahawk Weapons System from being installed to take advantage of the already existing infrastructure, but it would require the installation of additional equipment that could be verified.